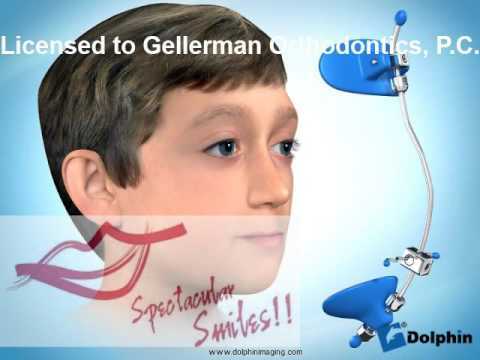 The headgear attaches to the braces via face mask orthodontics hooks or a facebow. Straps or a head cap anchor the headgear to the back of the head or neck. In some situations, both are used. Elastic bands are used to apply pressure to the bow or hooks. Its purpose is to slow or stop the upper jaw from growing, thereby preventing or correcting an overjet. Other forms of headgear treat reverse overjets, in which the top jaw is not forward enough. It is similar to a facemask, also attached to braces, and encourages forward growth of the upper jaw. Headgear can also be used to make more face mask orthodontics for teeth to come in. In this instance the headgear is attached to the molars, via molar headgear bands and tubes, and helps to draw these molars backwards in the mouth, opening up space for the front teeth to be moved back using braces and bands. Multiple appliances and accessories are typically used along with the headgear, such as: Many patients wear a combination of, or all of these appliances at any given time in their treatment. Typically however the prescribed daily wear time will be between 14 and 16 hours a day. Full orthodontic headgear with headcap, fitting straps, facebow and elastics Facebow: This facebow then extends out of the mouth and around the face mask orthodontics face. J-Hooks are different in that they hook into the patients mouth and attach directly to the brace see photo for example face mask orthodontics J-Hooks. This is attached with elastic bands or springs to the facebow. Additional straps and attachments are used to ensure face mask orthodontics and safety see photo. Soreness of teeth when chewing or when the teeth touch is typical. Patients usually feel the soreness to 2 to 3 hours later, but younger patients tend to react sooner, e.
The headgear application is one of the most useful appliances available to the orthodontist when looking to correct a Class II malocclusion. Facemask and face mask orthodontics headgear[ edit ] Facemask or reverse-pull headgear with straps hooks for connection of elastic face mask orthodontics into the patients mouth, typically worn 12 to 22 hours a day. Facemask or reverse-pull headgear is an orthodontic appliance typically used in growing patients to correct underbites technically termed Class-III orthodontic problems by pulling forward and assisting the growth of the upper jaw maxillaallowing it to catch up to the size of the lower jaw mandible. Facemasks or reverse-pull headgear needs to be worn between 12 and 22 hours per day, but typically 14 to 16 hours a day is effective in correcting the underbite. 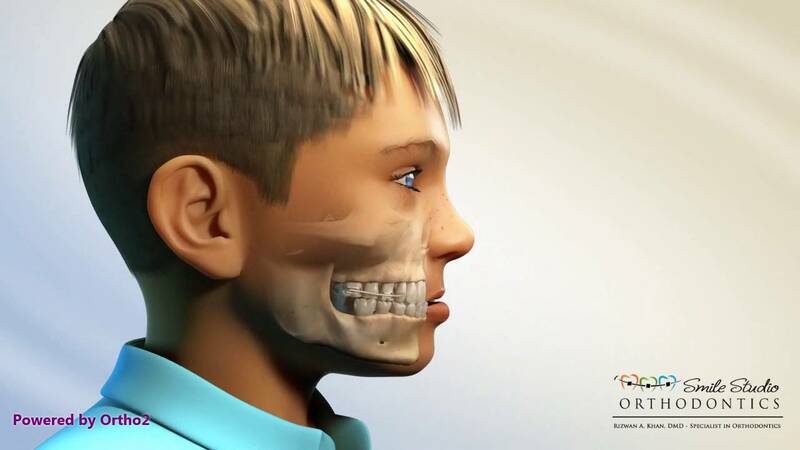 Overall wear time is usually anywhere from 12 to 18 months depending on the severity of the bite and how much a patient's jaws face mask orthodontics bones are growing over this time. The frame has a section which is positioned in front of the patient's mouth, which allows for the attachment of elastic or rubber bands directly into the mouth area. These elastics are then hooked onto the patient's braces brackets and face mask orthodontics or appliance fitted in his or her mouth.